Call it the luck of the “Draw.” Denverites Nathaniel (Nat) and Kathy Fay started looking for a Rocky Mountain retreat soon after their son was born in 1988. 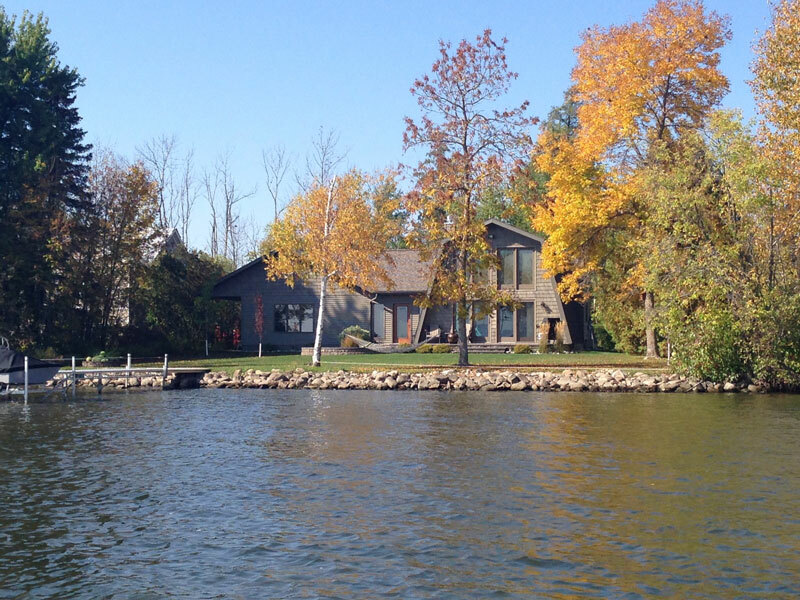 “My wife was the prime mover to purchase land and build a cabin,” recalls Nat. “Her family had a cabin in the mid-’60s near Grand Lake and Lake Granby [Colo.]. Kathy has fond memories of those days and wanted our children to have the same experience.” The Fays found the perfect getaway in Parsons Draw, a scenic valley in northern Colorado. Ringed by national forests and spectacular peaks, the Draw teems with wildlife and four-season recreational opportunities. 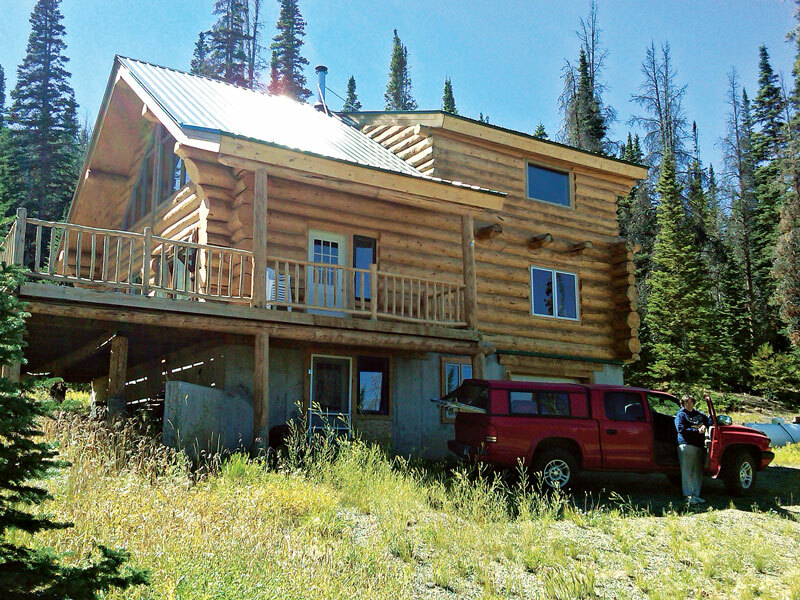 In 1995, the couple purchased a 40-acre property on the north face of Independence Mountain. In 1999, they had a well drilled, a forest-service specification road built, and a building site cleared. The following year, Paul Bormann, president of Bormann-Eitemiller Architects PC in Denver, drew plans for a 1,500-square-foot log home. Built by Randy Mansker of Walden, Colo., the shell was enclosed by October 2001. “We’ve been finishing it ever since, a few projects a year,” says Nat. After the shell was closed in, the Fays installed plumbing and a septic tank, added dry wall, ceiling and floors, and decks and railings. Four miles from the nearest county road, the cabin is off grid due to its remote location. A new propane generator powers the three-quarter-horsepower/220-volt submersible pump (the well is 400 feet deep). When the pump runs, it fills an 80-gallon pressure tank; a valve prevents the water from running back down. The 7500-watt generator also runs power tools, makes showers and washing clothes possible, and recharges two deep-cycle batteries. Though quieter and easier to start than the cabin’s original gasoline generator, it’s still noisy. “What we wanted was to sit and read, or fix supper without having a generator running, or listening to the howl of propane lamps at night.” So, Nat bought a 45-watt solar panel kit, along with a 400-watt voltage inverter and transfer switch. He hooked a 95-amp-hour battery to the inverter, and wired the inverter to the transfer switch. The generator is also wired to the transfer switch. When they don’t need the generator – say, after showers are done – the Fays switch over to solar. “The silence is astounding after we turn the darn thing off,” laughs Nat. The solar power runs the lighting and allows the Fays to charge cell phones, electronics, and both batteries. Adding a second battery a few years ago allows for more lights to be on at the same time in the evenings. “I did this, anticipating a large number of guests when my sister and her family and my mother come to visit,” explains Nat. Between spring and fall, the couple spends a week or so at a stretch here, communing with nature. Leaving home at 5 a.m., they arrive before noon – plenty of time to unwind after turning on the water and power. Before the snow flies, the Fays can drive right up to the cabin in their pickup truck. High ground-clearance is a must, and in wet weather, four-wheel drive is necessary, too. Winter is another story. Should the family hanker for a three-day weekend of cross-country skiing or snowshoeing, they have to snowmobile in from the county road. Once they get a fire going in the wood stove (the cabin’s central heat source), it takes a day for the cabin to warm up. There’s no running water, either. Since the cabin was envisioned as a fair-weather retreat, the water line is not below frost line. To retrofit would be expensive, so the Fays keep five-gallon jugs of drinking water at the cabin for winter getaways. “It’s a little far from Denver,” concedes Nat. “But that keeps it cabins and ranches, rather than commuters.” Now that’s what we call the luck of the draw.